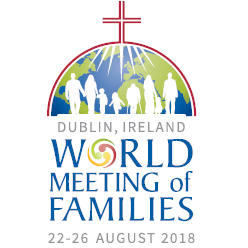 As part of the diocesan preparation for World Meeting of Families 2018 each parish is asked to nominate a family that will be chosen by lottery to represent the Archdiocese of Dublin in Knock at the official launch of the one year programme of preparations for WMOF 2018. This launch will take place in Knock during the Annual National Novena on Monday 21st August 2017. If you would like to be included in the lottery please contact the parish office 2881271 before Thursday 27th July.